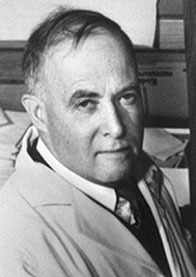 American chemist James B. Sumner discovered the protein nature of enzymes, and developed a general crystallization method for enzymes. In 1926 he became the first scientist to isolate and crystallize an enzyme, urease, found in the Canavalia ensiformis jack beans. As this was widely believed to be impossible, his finding was ridiculed and ignored for several years, particularly by the famed German chemist Richard Willstätter. In 1930 John H. Northrop was able to isolate another enzyme, proving Willstätter wrong and Sumner right. In 1937 Sumner isolated and crystallized a second enzyme, catalase, found in blood. He shared the 1946 Nobel Prize for Chemistry with Northrop and Wendell M. Stanley. As a teenager, Sumner was shot in the left arm in a hunting accident, necessitating the amputation of his arm below the elbow. Since he was left-handed, this presented the added hurdles of re-learning how to write, dress himself, and operate equipment from doorknobs to test tubes. In addition to his one-handed accomplishments in chemistry, he continued to hunt and became a competitive amateur tennis player. He was directly descended from anti-slavery campaigner Charles Sumner. After his divorce from his first wife, Cid Ricketts Sumner, she turned to writing and authored several best-selling novels, including the delicate study of racism Quality and the somewhat lighter Tammy Out of Time, which was filmed as Tammy and the Bachelor.